Our ‘Introduction to Jewellery-Making’ course ran at the weekend. Students learnt to make rings and pendants using core jewellery making techniques such as piercing, soldering, finishing and stone-setting! For more information about the course click here! ITS Jewellery School on Pinterest! Join ITS Jewellery School on Twitter! 5 Day Stone Setting Course in November- Book now! Learn a wide variety of stone setting techniques and develop the skills to begin setting anything from diamond engagement rings to your own luxury jewellery. Our lecturer, John Russell, has been a professional stone setter for over 40 years. 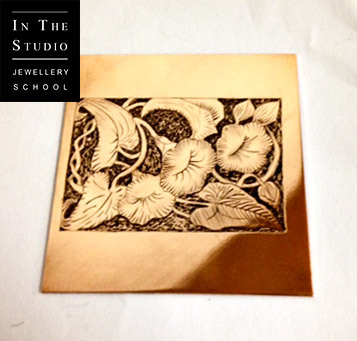 July will bring a whole new batch of courses on the 12th/13th we are running the Engraving Course our previous teacher Rex has now retired so we would like to welcome our new lecturer Harry. Every one has their own specialities so if you have done the engraving course before you may want to come again as Harry is more about engraving for decoration. 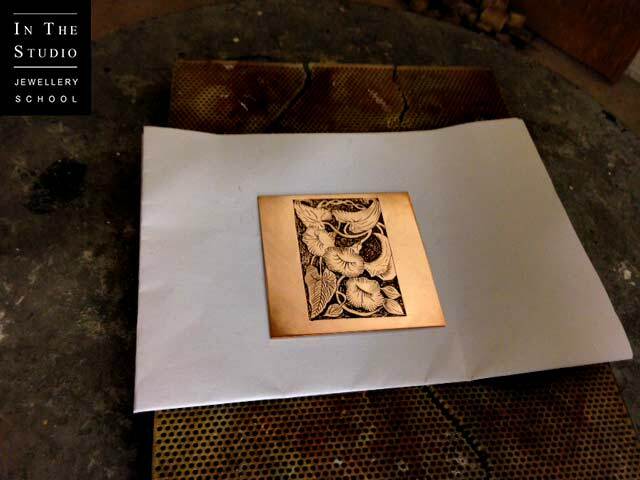 Also engraving for inlaying metals and for some of the enamelling techniques where the metal and pattern can be seen underneath the enamels. He will also demonstrate the air engraver. So lots of new skills to be learned from a great professional! Why not book now we would love to see you here!